"Sets the German philosopher's thought in the context of Prussian militarism, anti-Semitism, Darwinian science, and other phenomena of his era..."
"A first in the history of Nietzsche studies: a richly detailed biography written by a leading scholar of Nietzsche's philosophy. The volume nicely mixes the intriguing particulars of Nietzsche's life with intelligent analyses of his philosophical work that are well-informed, always clear, sometimes controversial, but consistently interesting. It will now be the starting place for the philosophically-minded reader of Nietzsche seeking a comprehensive treatment of the life and the work." 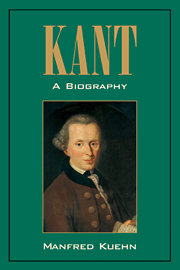 "Simply put, this is an excellent biography of Nietzsche, and a model of what a philosophical biography should be. 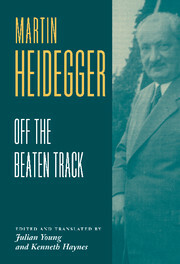 Young offers a smooth integration of biographical detail and philosophical analysis so that one can readily see how Nietzsche's life and thought informed one another. He stakes out some controversial interpretive claims, but even setting these aside, Young has produced a study that must be read by every Nietzsche scholar and by anyone interested more generally in the shaping of the modern philosophical landscape..."
"...masterly biography of Nietzsche... "
"...Julian Young's Friedrich Nietzsche: A Philosophical Biography is marvelous, meticulously researched, artfully written, and genuinely insightful. Young has managed to produce a work of the highest caliber on the slippery terrain of Nietzsche's thought. 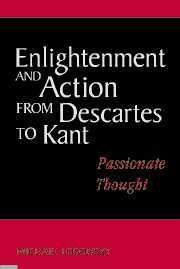 He offers a total vision of Nietzsche's intellectual development that is at times critical, as well as giving clear accounting for the many implicit arguments found in Nietzsche's work... The volume's style is artful, far exceeding the norms of philosophical treatises... Young's book is remarkable, and easily recommended. One will find value in it as an overview to or introduction to Nietzsche's thought. While invaluable as a work for those interested in Nietzsche, it is perhaps even more important for philosophers, given how regularly Nietzsche is misunderstood or misinterpreted. On the whole, Young's book is outstanding... 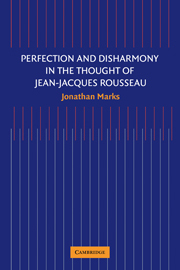 In sum, not only has Young produced a masterful study of Nietzsche, fit for slow reading (296), but a work that opens avenues for further inquiry. The superlative quality of the whole towers well over what blemishes it has. 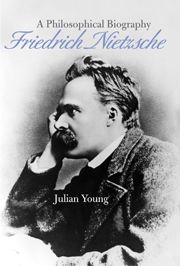 Young's philosophical biography of Nietzsche is certainly essential for any serious study of Nietzsche henceforth." "...In this massive work, Young (Univ. of Auckland, NZ; Wake Forest) presents the most comprehensive biography of Nietzsche available in English... Young offers interpretations of all of Nietzsche's works, often tying these interpretations to interesting details about Nietzsche's locale, his health, and events in his life... This volume is indispensable for anyone interested in Nietzsche's life and thought... Essential..."
"...This strenuously researched biography serves well to give one a clear understanding of Nietzsche's radical philosophy.... delightful and richly detailed biography of Nietzsche. 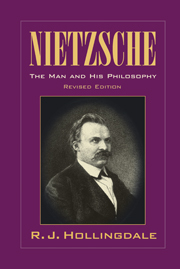 It provides new readings and perspectives on Nietzsche's life and work, questioning the conventional interpretation of his “nihilistic” underpinnings. 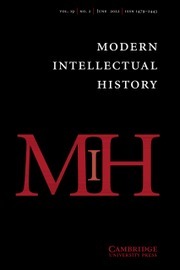 It brings out the huge impact of Nietzsche on 20th-century philosophy and literature and its well-grounded notions of beliefs and values, casting a “long shadow” on the complex cultural and philosophical central themes of postmodernist thinking...."
"This is the longest and most thorough account of Nietzsche’s life available in English. It might also be the best. It uses Nietzsche’s letters to good effect along with generous helpings of the existing correspondence from his acquaintances. The pace is crisp and the writing is situated in the present day, often drawing parallels with contemporary events, objects and characters. There are 32 black and white photos, 28 chapters, a Chronology, Notes, a Bibliography and an Index. 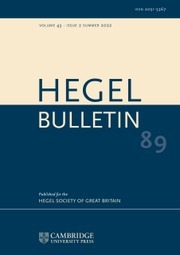 Young discusses several musical compositions by Nietzsche, recordings of which can be listened to free of charge at the Cambridge University Press Web Site, where further commentary can be found as well." "Presenting such a unified account is particularly impressive given that Young does not appear to deprive us of any of the details of Nietzsche’s life. We get definitive treatments of his childhood, the Pforta years, his turbulent relationships, and his heartbreaking demise. From the biographical perspective, Young pulls all of this together through some adept storytelling: he uses flashbacks, flashforwards, overlapping events relayed successively, and a host of other devices to tell a coherent and fascinating tale. This book is a must read for those interested in Nietzsche, as well as for students of the intellectual history of late nineteenth-century Europe, and for anyone looking for ideas on how to craft a unified philosophical biography." "....incisive, provocative and elegant writing.... a highly worthwhile read.... Young's arguments are persuasive, yet leave enough space for the reader to form his/her own interpretation. This is a welcome improvement on Hollingdale's version from 1965, full of orthodox certainties.... An important asset of Young's Philosophical biography is that it portrays both Nietzsche the philosopher and Nietzsche the man amidst the backdrop of historical, political and cultural events, including the Franco-Prussian war, Bismarck's rise to power, the ascent of the sciences, and the growing fame of his friend Richard Wagner...."
"....Julian Young’s biography, Nietzsche: A Philosophical Biography, is unusual, given the author’s academic repute as a Nietzsche scholar. Young acutely surveys Nietzsche’s life, while offering erudite accounts of his philosophy.... In terms of its content, this book makes several important contributions to Nietzschean scholarship.... Young’s book compellingly shows that, as a cultural critic, Nietzsche is as relevant as ever." "Those of us interested in the mercurial and ever-mysterious Nietzsche are indebted to Julian Young for the production of this extremely fine biography.... connoisseurs of the details of Nietzsche’s life will discover intriguing new information.... It also provides overviews of the intellectual work he was undertaking at each stage of his life.... clear, well organized, and intelligent...."
I have fallen in love with this book. I have a background in philosophy and theology. If youre interested in atheism, the death of God movement, or in analysis of modern culture, including art, music,linguistics, and ancient Greek culture, this book I highly recommend and Frederick Nietzsche is your man. Its worth the struggle in beautifully written even with a sense of humor. And its actually relevant to many issues of the 21st-century that we face as a human family. Educated at Cambridge University and the University of Pittsburgh, Julian Young is Professor of Philosophy at the University of Auckland and Honorary Research Professor at the University of Tasmania. A scholar of nineteenth- and twentieth-century German philosophy, he is the author of nine books, most recently Nietzsche's Philosophy of Religion, and has been invited to speak at universities and conferences throughout the world.